Do you feel in need of a dash of enlightenment? Perhaps there’s a message for you behind one of the five Tarot cards? Remember sweet soul, you have all the answers you seek already within you. You are connected to the whole and your wisdom is deep. Tune into your own psychic intuition and focus on the five cards. Do you feel that one of them is calling you? 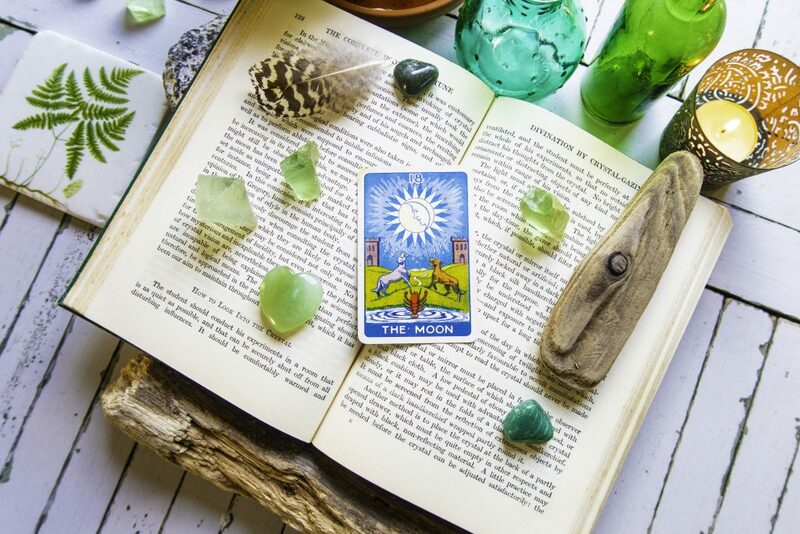 Before you choose your Tarot card take a moment to connect to your own psychic instincts, and see if you can sense what the card might reveal. When you’re ready scroll down to reveal what is behind your chosen card. Are you ready to experience emotional harmony and joy? 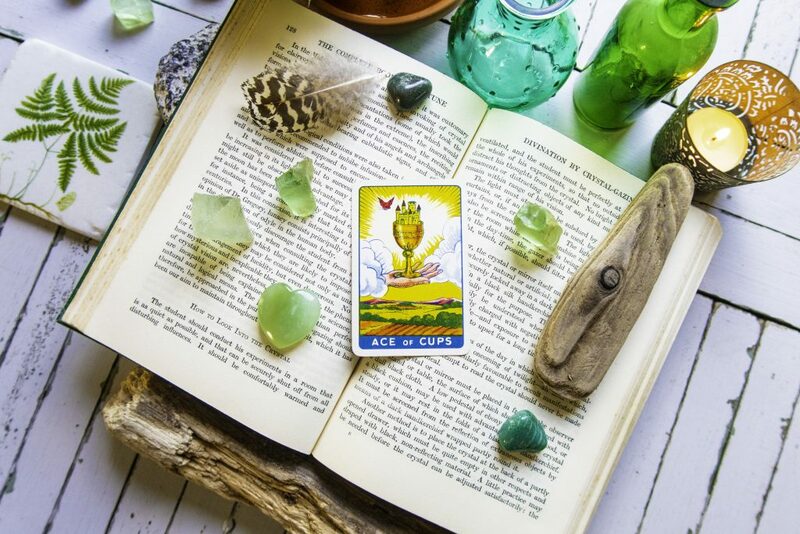 The Ace of Cups is the holy grail of emotions. Your soul cup is about to be filled with happiness and fulfilment. Pleasure and warmth are reaching out to you and are no doubt the reward for your kindness to others. 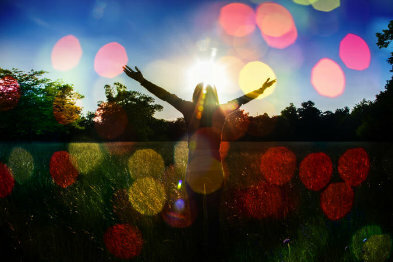 You are a loving being who is about to have a bountiful love-in with those around you. Emotional healing is on the way as you flow with plentiful love. Your creative spark is on full beam and possibly it’s the beginning of an incredible spiritual connection. Do you feel your energy surging? You are stepping into your strength and about to take positive action. You know the direction you want to go in and are fearless in pursuit of your desires. 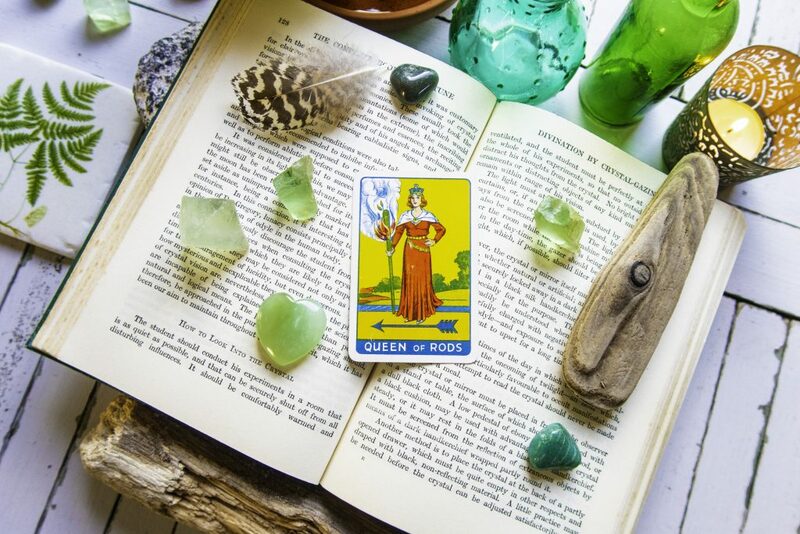 The Queen of Wands is a fire sign, and she’s action personified. This Queen does not suffer fools gladly, she’s feisty and bold, Madame Wands opens her arms to the Universe and says ‘ let’s go’. What adventure do you want to go on. You can be assertive and comfortable in your power without being angry, you are now in charge of your destiny. Allow your free spirit, your unique and confident self rule the show this week. Yay! Who doesn’t love an Ace? Ace’s represent the essence of the suit and in this case, Pentacles which represents earth. Pentacles are all about security, abundance, money and financial achievement. Pentacles are grounded, rooted and strong. There’s likely to be a peak experience in one or all of those areas and you are more than ready. You have reached a point within yourself where you KNOW you can succeed and achieve your goal. The Ace of Pentacles is a gift to you, a symbol of your abilities. All systems are GO! If you channel this practical and powerful vibration nothing can stop you now. you have chosen the luscious Moon, Queen of the night. Radiant, thrilling and intuitive beams of enlightenment are galloping your way. The Moon is our inner guide, she trawls our unconscious and drags our true feelings to the surface. The Moon awakens your psychic intuition and makes the unknown, well.. known. Pay attention to your hunches, prick up your psychic ears. Signs and symbols are coming your way to lead you onwards. If you feel that a connection is not being honest with you, or does not have your best interests at heart, don’t ignore it. Be empowered by your instincts. Write down your dreams and tune into the upcoming Full Moon for an important message. How are you doing when it comes to balance in your life? 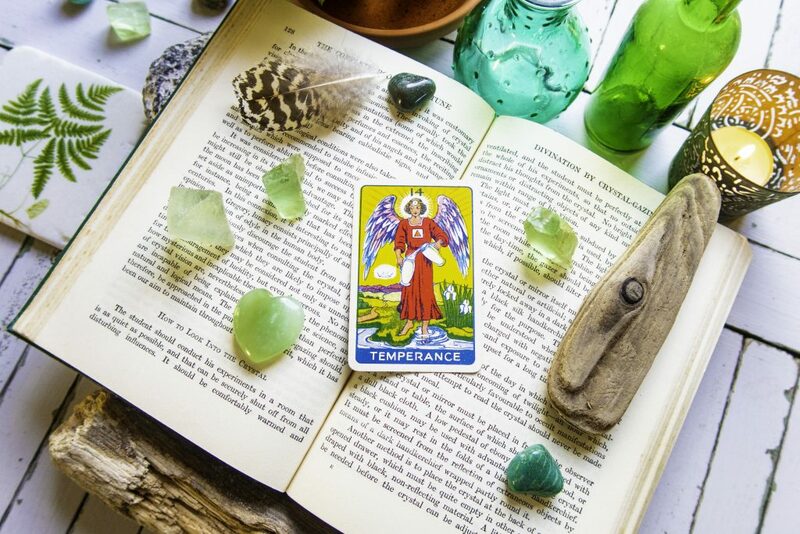 Temperance is urging you to look at your patterns, to shed extremes, to find your own middle ground. You are awakening to the importance of being calm, still and peaceful. When you increase this energy you feel healed and capable of seeing how to transform problems. Are you working, drinking or partying too hard? Are you giving all your energy away and not keeping enough for yourself? If you have been feeling overwhelmed or like you’ve been plopped into a spin dryer of drama, fear not, Temperance is showing you the way out. Thank you for an inspiring reading. Just what I needed. Your Free Tarot Card Reading – Immediate Future Wisdom. Which card will you choose? Free Tarot reading – Message of the day. Does one of these three Tarot cards have a message for you?